"The 2012 Enigma: Science & Transcendence"
In addition, David Wilcock has been appearing at a number of conferences and expos and many of his presentations have been filmed and made available for sale on DVD, with even a few clips making it to the web. Below you will find our reviews of each video or DVD and further information, and in some cases, where to purchase that particular DVD. They are listed in chronological order and the latest releases will be added as they become available. This listing has now grown to two pages, so make sure to click on the Part 2 link to find older videos and DVD's. January 24, 2012 | 3 hours 7 mins. Former Navy Seal, Bill Wood, was interviewed by Project Camelot's Kerry Cassidy and Bill Ryan, along with David Wilcock on January 24, 2012 in an amazing two hour video expose over a LiveStream webcast. Bill Wood (aka Bill Brockbrader) has an amazing array of insider information to reveal and the best parts by far of this interview by far are those exchanges with David Wilcock. The two discuss the rumored and highly secretive "Looking Glass" project that allowed the military elite to see into the future. David and Bill Wood also have a fascinating discussion about two different timeline scenarios, known as "Timeline A" and "Timeline B". These timelines involve either a positive or negative reality for humanity and how Bill Wood was employed by the military to work on a negative timeline objective. Fascinating stuff! Watch the full video at the Project Camelot website or on YouTube. Excellent and mind-blowing information. Highly recommended! Ancient Aliens: Aliens and the Third Reich | The History Channel | November 25, 2010 | 46 mins. Ancient Aliens: Underwater Worlds | The History Channel | November 11, 2010 | 46 mins. Surprisingly, David Wilcock appeared in an episode of the History Channel's "Ancient Aliens" series in November 2010. He was featured quite extensively as compared to his last cable television venture on the SyFy network's, "2012: Startling New Secrets". 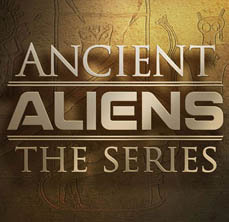 The Ancient Alien series is absolutely excellent and comes highly recommended. It is clearly a show that is preparing the world's people for disclosure. To watch this show go to the History Channel's video archives. More information on this show can be found in the DivineCosmos archives. "2012: Event Horizon: Prophecies and Science of a Golden Age, by David Wilcock" | DivineCosmos video | Parts 1 – 4 | Time: Part 1 – 54:46 mins. / Part 2 – 57 mins. / Part 3 – 51:10 mins. / Part 4 – 32:21 mins. David Wilcock's sequel to the immensely popular "The 2012 Enigma" video came two years later with the free release of, "2012: Event Horizon: Prophecies and Science of a Golden Age." This video, debuting on YouTube on May 5, 2010, was very highly anticipated since the trailer had been previewed many months prior to this full featured version (see trailer below). Originally entitled, "2012 Enigma: Blueprints for the Golden Age," the title of the final video release was changed to reflect David's forthcoming new book for Penguin Books of the same name, "2012: Event Horizon," which is to be released sometime in 2010. "2012: Event Horizon" is easily the most polished video David has ever released having collaborated with a number of talented independent video editors and producers known as the utitledcollective.com. 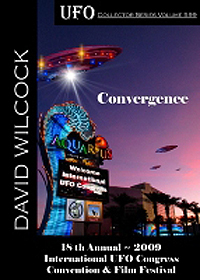 Much of the content of "2012: Event Horizon" is drawn from David's conference and expo appearances at in 2009, supplemented with original video footage, narrated by David. More information on this video can be found in the DivineCosmos archives. Highly recommended for offering a taste of David's Convergence conferences. David Wolfe Interviews David Wilcock Pts. 1 & 2 | www.davidwolfe.com | Eden Hot Springs Retreat, Arizona | November 2009 | Time: Part 1 - 9:48 mins. / Part 2 - 8:40 mins. This was a very informal and impromptu interview recorded at the Eden Hot Springs Retreat in Arizona in November 2009, by nutrition and health expert, David Wolfe, but not officially posted online until April 2010. During this interview, David is asked about the research he has conducted into food, nutrition and water. He stressed the importance of the sacred geometrical patterns in the form of micro-clusters that should be contained within our food and water that are essential ingredients to feed the living body. "The more micro-clusters are in your diet, the more nutrition you get," David replied, "but more importantly, when you are ingesting these micro-clusters, you also are ingesting vitality, which feeds the energy body." The two also discussed the inter-planetary climate change that is undergoing throughout the entire universe that provides the scientific proof that a major dimensional shift is underway. The only drawback for this interview is the shaky camera work by the videographer, however, it does not deter David's usual positive message. Very good information, although much too short and suspect video quality. After a lot of anticipation and build-up, "2012: Startling New Secrets," broadcast on November 8, 2009 on the SyFy Channel, was mostly a let down. Unfortunately, David Wilcock had anticipated being an integral part of this 2012 special and he barely appeared on screen for a total of about a minute, if that. Much more attention was given to the gloom and doom merchants who had lots of negativity and fear to peddle. It was left to Mayan calendar researcher, John Major Jenkins, to provide the most inspiring and uplifting messages of this entire special. "This monument is a critical piece of the puzzle that proves the ancient Maya thought about 2012 as not a doomsday, but a transformation and renewal. The end of one world age, and the beginning of a new one," he said as he discovered significant carvings on a rock in southern Mexico. As a matter of fact, his words were ones you might have expected David Wilcock to say. It is a shame that David's positive and inspiring perspective was not given more airtime, but nonetheless, it was great to see him finally appear on network television, even if it was only a cable network. I have a feeling we are going to be seeing a lot more of David Wilcock on broadcast TV in the near future. To read David's interesting thoughts, as the special aired live see, 2012: Startling New Secrets on SyFy -- Live Blogging as we watch! For more info on this special see the SyFy Channel web site. Fair for just a miniscule section of David Wilcock's contributions, that we can only suspect the best parts were left on the cutting room floor. "2012 Enigma: Blueprints for a Golden Age" | Video Promo for upcoming book, "2012 Event Horizon" | Time: 8:20 mins. This is a short but excellent eight minute promotional video for David Wilcock's upcoming book, "2012 Event Horizon" to be released by Dutton Books in 2010. David revealed he is hoping to gather interest from major networks for airing as a documentary film/video. He has enlisted the help of group of talented creative artists and volunteers under the name of utitledcollective.com to produce a high quality video presentation. More information on this video can be found in the Divine Cosmos archives in a post, "2012 Enigma Book: New Promo Video -- and More!" Excellent preview of a slickly produced, full featured video highlighting clips from David's conference presentations and music in collaboration with musician/producer Larry Seyer. David Wilcock gave the closing speaker presentation at the inaugural Awake & Aware in L.A. conference on September 20, 2009. The conference was sponsored by Kerry Cassidy and Bill Ryan of Project Camelot and featured many other speakers such as Robert Dean, Jordan Maxwell, Alfred Webre, Alex Collier, Miriam Delicado and many more. During this two-hour presentation, David proffered numerous hard-core scientific data and undeniable proof that an unparalleled awakening of humanity is unfolding upon Planet Earth. He made a very compelling case for the rapid human evolution and offered yet more confirming evidence to support his prediction of this seminal world event to occur within the next six months. See our News story, "David Wilcock Sees Unprecedented Positive Events Unfolding Over the Coming Six Months" for further information. David posted his comments about his participation at the Awake & Aware in L.A. conference at his web site and stated he plans to release it as a full video production at a later date: "Amazing FREE 2-Hour Video: 2012 -- Return to Camelot!" To view this presentation for free on U-Stream click on this link: David Wilcock – "2012: The Return to Camelot"
Here is the YouTube version of "2012: The Return to Camelot"
Very, very good presentation on the scientific data and positive proof of the unfolding of human and Earth evolution and David's upbeat perspective. Awake & Aware in L.A. Panel Discussion with Alfred Webre, Miriam Delicado, David Wilcock, Richard Dolan, Marcia Schafer, Duncan O'Finioan, Jordan Maxwell, moderated by Kerry Cassidy and Bill Ryan | Awake & Aware in L.A. conference speakers panel discussion | Los Angeles, California | September 19, 2009 | Time: 1 hr. 23 mins. At the end of the first day of the inaugural Awake & Aware in L.A. conference, hosted by Kerry Cassidy and Bill Ryan of Project Camelot, many of the speakers were gathered together for an impromptu panel discussion that went late into the evening on Saturday, September 19, 2009. Along with David Wilcock, the other participants included Alfred Webre, Miriam Delicado, Richard Dolan, Marcia Schafer, Duncan O' Finioan and Jordan Maxwell. Without question, the absolute highlight was David's contributions, particularly hi final words that closed out the evening on a very, very high note. All of the panelists were asked to give their assessment of what each of them felt may be happening in the coming year. "I have never, ever in my life had as many dreams about one upcoming future event as I have about what's going to happening in the near future," he reiterated, as he did a few days earlier on the Camelot Whistleblower radio show for September 17, 2009. Very good, primarily for David Wilcock's consistently optimistic and positive contributions, which unfortunately, are only a small part of this entire panel discussion. Parts 1, 2 & 3 | www.projectcamelot.org | US Interior | June 29, 2009 | Time: Part 1 – 1 hr. 57:57 mins. | Part 2 – 53:43 mins. | Part 3 – 1 hr. After much anticipation and a delay of over two months, the Project Camelot interview with whistleblower Dr. Pete Peterson was finally released on September 4, 2009. Part 1 of the video consists of Bill Ryan primarily posing the questions, with a few added contributions by David Wilcock. However, on part 2, (which is by far the best of three), David was allowed to handle most of the interview questions and he asked Dr. Peterson a great deal of interesting scientific and medical information. Particularly about the informational field and the consciousness field that exist around the human body. Dr. Peterson also spoke at length about a medical instrument he has invented called an "accucomb" that when applied to areas of the human hands or feet, can heal just about any ailment in the human body. He revealed that he is building a factory to mass produce these devices in the near future, and plans to sell them for approximately $100. For further information, Project Camelot gave an email address on the video, dr_peterson_orders@projectcamelot.org to obtain a device of your own. During part 3, Kerry Cassidy takes over with the questions and primarily dwelled on Dr. Peterson's work on black ops projects and governmental programs. For many of those inquiries, Dr. Peterson was reluctant to go into too many details. For more information on this interview see the dedicated page on the Project Camelot web site. Very good and recommended information, although David acts as an interviewer in this video, particularly on Part 2, which is the best of the three parts. A New World: If You Can Take It! Conference Panel Discussion with Dan Burisch, Marci McDowell, Dr. Brian O'Leary, David Wilcock, Bill Ryan (moderator) | www.projectcamelot.org | Zurich, Switzerland | July 11, 2009 | Time: 41:01 mins. David Wilcock appeared at A New World: If You Can Take It! Conference, from July 10 – 12, which was presented by Bill Ryan of Project Camelot, in Zurich, Switzerland. Although recorded on July 11th, this panel discussion took an exceedingly long time to be released and oddly enough, it appeared only as a portion of its entirety. Unfortunately, David's contributions to this panel were kept to a bare minimum as apparently, Dan Burisch caused quite a controversy when he recommended the audience should consider taking vaccinations. Needless to say, certain members of the audience reacted with shock and anger and the panel discussion took on a tone of defensiveness and hostility, where David wisely stayed out of the fray. David wrote about about his experiences with this panel discussion on his web site in a piece entitled, "Toronto Conference, Disclosure Updates, and David on Project Camelot, June 25: Transcript!" on July 18, 2009. For more information on A New World Conference see the special Project Camelot page. This panel discussion was beset with unrest and negative feelings and therefore may not be considered essential viewing. "The Science of 2012: Dud, Disaster or Divine?" | A New World: If You Can Take It! Conference presentation | www.projectcamelot.org | Zurich, Switzerland | July 11, 2009 | Time: 4 hrs. David Wilcock was the headline speaker at the debut of the, A New World: If You Can Take It! conference, from Zurich, Switzerland. This conference was organized by Bill Ryan of Project Camelot and also featured Dr. Brian O'Leary, Dan Burisch and Marci McDowell. Therefore, watching this video footage may require an adjustment in order to absorb the voluminous material that is covered. David wisely adapts his presentation style to accommodate for the translation and gives short compact bits of information. For further information, see German web site, TheSecret.tv (German language only). Also see the dedicated A New World Conference page on Project Camelot. Fossil evidence clearly shows a 62 and 26-million-year cycle of species evolution on Earth going all the way back to the dawn of life as we know it, 542 million years ago. For millions of years the species on Earth hardly change, and then suddenly everything on Earth seems to get ‘reprogrammed’ and evolve into higher forms of life in very short periods of time. Russian scientists have successfully transmitted the DNA information from one species into another using nothing but non-burning laser light – creating duck/chicken hybrids and transforming frog eggs into salamanders. Thus we have a physical, provable mechanism to show that this evolutionary cycle can indeed occur spontaneously, and can be triggered by nothing more than energy patterns. Galactic energy fields contain intelligently-structured patterns to upgrade life on Earth -- creating these worldwide evolutionary leaps in Earth’s fossil record, while also creating interplanetary climate change. We are at the end of this grand cycle once again, and many prophecies have alluded to this. "The 2012 Enigma: Science, Prophecy and Transcendence"
Recorded at the Conscious Life Expo '09, David Wilcock gave a superb nearly three hour presentation that featured a wealth of scientific, spiritual and prophetic information. The video footage is included on three separate DVD's as it became necessary to stop filming on two occasions for logistical reasons. Excellent presentation, especially the final hour where David delves into the Law of One material and the ascension into 2012. This DVD of the "2012 Panel: A Quantum Leap into the Unknown," filmed at the Conscious Life Expo '09, was moderated by Sean David Morton, and, unfortunately, David Wilcock arrived somewhat late, due to the length of his previous workshop, "The Science of 2012." Nonetheless, his presence was most welcome as he added richly to the on-going discussion. The other panelists included author/spiritualist, Jack Allis; Nostradamus expert, John Hogue; psychosomatic therapist, Carole Friessen; and healer Ron Amitron. David's contributions were articulate, eloquent and profound, and most importantly, he provided the most upbeat and positive perspective on the year 2012 of all the panelists, as he has consistently done. "There is a loving Creator and the game has been setup to preserve our lives. We're being scared, but we're being scared into awakening, not into death. We're not being scared to death, we're being scared to life," he responded when asked about this unfolding event. This DVD is highly recommended, particularly for David's contributions, but you will find some interesting comments from the other participants, as well. Absolutely excellent contributions by David Wilcock who stood out among all others on this panel discussion! Highly recommended! "The Science of 2012" was a workshop that David Wilcock had conducted throughout 2008 and updated for the Conscious Life Expo '09, which was filmed for this DVD release on February 15, 2009. More information about and purchase of this workshop DVD can be found at the Conscious Life Expo '09 web site. The "Prophecy Panel" was expertly moderated by George Noory, host of the Coast to Coast AM radio. Regrettably, this panel discussion was beset by controversy when a deranged man out of the audience interrupted the proceedings on two separate occasions. Despite those unwelcome intrusions, the discussion moved onward although David took the opportunity to openly express his concerns about disruptive audience members. The other members of the panel were intuitive remote viewer Sean David Morton; Mexican journalist Daniel Munoz; Nostradamus expert, John Hogue; and Knights Templar representative, Gudni Gudnason. When questions from the audience came to 2012, David offered his usual positive perspective on unfolding events. Gudni Gudnason seemed to echo his sentiments as well. Sean David Morton and John Hogue, however, offered rather different perspectives of future events that were far more sobering and somewhat alarming. Daniel Munoz spoke extensively about UFO's and the Mayan Calendar but, at times, it was rather difficult to follow his line of thinking. Sadly, David's contributions were kept to a minimum as he was not given center stage very often, despite the fact that he was very enthusiastically greeted by the audience. However, his opening and closing remarks were outstanding and make viewing this video worthwhile, until its conclusion. You can see a partial video clip of the opening of this panel discussion as filmed by a member of the audience on Google Video. Good panel discussion although, unfortunately, David Wilcock was not heard from nearly enough.